The combined Russian-separatist forces attacked Ukrainian army positions in eastern Ukraine 75 times in the past 24 hours, including 59 times in the Donetsk sector, 15 times in the Mariupol sector and once in the Luhansk sector, the press center of the Anti-Terrorist Operation (ATO) reported on Saturday. The terrorists fired mortars 12 times on the Ukrainian positions near the towns of Krasnohorivka and Avdiyivka, the villages of Opytne, Pisky, Zaitseve and Nevelske in the Donetsk sector, as well as the town of Maryinka and the village of Chermalyk in the Mariupol sector. The militants fired tank shells and infantry fighting vehicles twice on ATO forces near Avdiyivka. At about 18:00 local time, they started firing 122mm self-propelled artillery systems on the Ukrainian positions, the press center said. The occupiers also fired infantry fighting vehicles, rocket-propelled grenades and heavy machine guns on the Ukrainian fortified positions near the villages of Novhorodske and Luhanske. 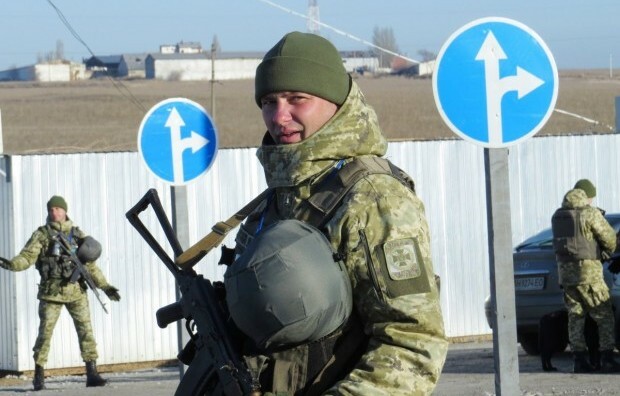 The Russian-backed mercenaries fired grenade launchers of various systems, large-caliber machine guns and small arms on ATO forces near the villages of Pisky, Opytne, Zaitseve, and Mayorsk. In the Mariupol sector, the militants fired grenade launchers and machine guns on the Ukrainian positions near the town of Maryinka, the villages of Vodiane and Shyrokyne. Provoking the Ukrainian military to fire back, the invaders shelled toward ATO positions near the town of Krasnohorivka, the villages of Opytne, Troyitske, Hranitne and Novozvanivka.